Rocket EMS Inc., a Silicon Valley-based full service EMS supplier, today announced that it has installed two V510 G2 Advanced Optical Inspection (AOI) systems and one V810 S2 3D In-line Advanced X-ray Inspection System (AXI) from ViTrox Technologies. The V810 S2 and V510 G2 systems will complement Rocket EMS’ SMT assembly line with high-speed, high coverage AXI and AOI. “At Rocket EMS we promise extraordinary quality, spectacular customer service and a sense of urgency in everything we do,” commented Marla Sanchez CEO of Rocket EMS. 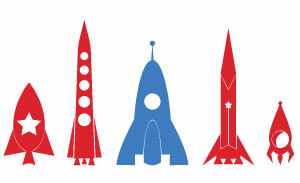 Peter Chipman, Vice President of Test, Rocket EMS, added: “Rocket has used ViTrox AOI and AXI machines for many years. 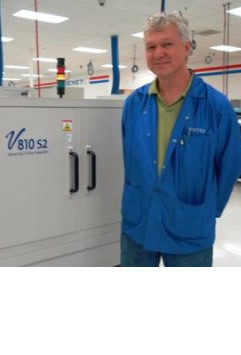 We chose the ViTrox machines based on our experience with reliability, ease of programing and the machines ability to successfully capture production problems.” The V810 S2 accommodates boards up to 18"x24" and offers Rocket EMS the ability to inspect double-sided PCB panels with high defect coverage, high inspection speed and an excellent call rate. The system is designed for in-line and offline use and works on both lead and lead-free solder joints. The V810’s state-of-the-art technology is based on Digital Tomosynthesis methodology and runs on a new platform with Windows 8 Professional 64bit.